LittlePod, a valued customer of Adelphi, have received a design award for their innovative packaging and design solution for a traditional cooking ingredient. 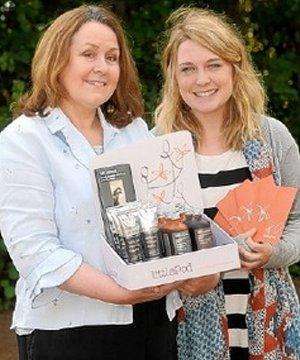 LittlePod has won a bronze award for their packaging within just ten weeks of trading. The small company in East Devon, which markets natural vanilla products, has been recognised for its innovative design, creating the ultimate ‘Cosmetic for the Kitchen’. This is the first vanilla paste to be marketed in an aluminium tube, and aims to revolutionise the kitchen, making it easier and more affordable to incorporate real vanilla into cooking. Adelphi supply both the tubes and the equipment for filling and closing them. Janet Sawyer, MD of LittlePod, says: ‘‘To be honoured with an award from such a prestigious body, LittlePod can now go confidently to London’s Speciality and Fine Food trade show in Olympia on the 5th of September knowing that we do indeed follow the principle of, ‘think global, act local’. Our website is full of information about the need to support the growers of the vanilla orchid, encouraging them to continue cultivating the crop. We can all help by purchasing real natural vanilla’’.